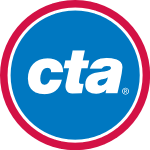 Chicago transport authority with its corporate office in Chicago, Illinois, abbreviated as CTA operates public transit in and around Chicago. Started in 1947 by amalgamating Chicago Rapid Transit Company and Chicago Surface lines streetcar System, it works under Chicago Municipal Corporation. It further purchased assets from Chicago Motor Coach Company, held by Yellow cab founder John D. Hertz, working today under Regional Transportation Authority. Right now, its fleet consists of 1782 buses and 1,190 rails carrying about 1.82 million people with fare collection by cash or transit cards. Earlier, trolly buses also were in use, which were phased out in the 1960s and 1970s. The CTA does radio operations to keep the commuters upto date. There are currently 0 consumer reviews about Chicago Transit Authority available. Share your review. Please take a note that you are about to post a public review about Chicago Transit Authority corporate office on CorporateOffice.com. This review will be public, so please do not post any of your personal information on this website. If you would like to contact the corporate offices of Chicago Transit Authority, please use their contact information such as their phone number, website, and address listed above to contact them. However, sometimes staff from Chicago Transit Authority headquarters do read the reviews on this website.